Since I didn’t have smoothie Monday, I thought I would make it Smoothie Tuesday. However there shouldn’t be a specific day for a smoothie, especially healthy ones! Today’s smoothie takes after one of my favorite, that I don’t order drinks, the Vanilla Cream Frappe. I love them, but with all of the calories and sugar I just don’t order them, ever! So why not try to re-create a tasty drink with a healthy and even tastier drink that is guilt-free and will give you energy, plus it won’t hurt the waistline! 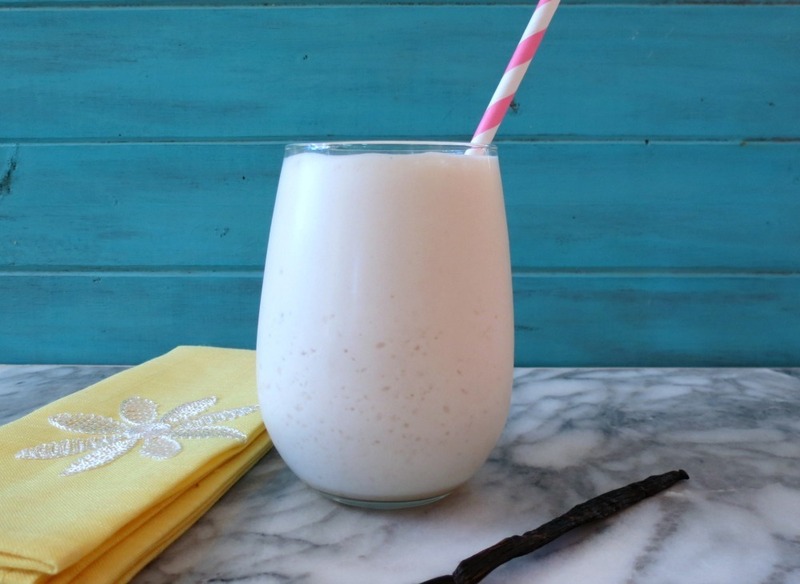 I made this shake using Wallaby Vanilla flavored Kefir, however, if you don’t have vanilla Kefir, vanilla yogurt will work too!! To thicken up my drink I also used one tablespoon of vanilla protein powder. The brand I used is Designer Whey, I buy it at Trader Joe’s, but I do know that vitamin stores like GNC and Vitamin World carry it. Honestly I am not the biggest protein drink person, so I only used a little to give me a nice vanilla taste. I really try to like protein shakes, but for some reason they are not my thing, but I still drink them. 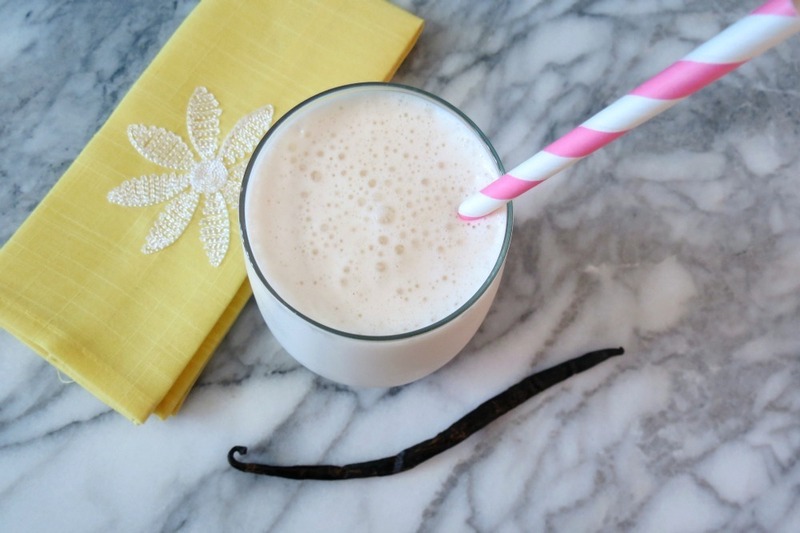 This drink is creamy, smooth and tastes just like vanilla milkshake, just not as thick. It’s a fabulous drink that is perfect for having after a workout, for breakfast or anytime where your craving a sweet drink. Vanilla is one of my favorite flavors, I even like it over chocolate, which sounds kind of odd even coming from me, but it’s true! 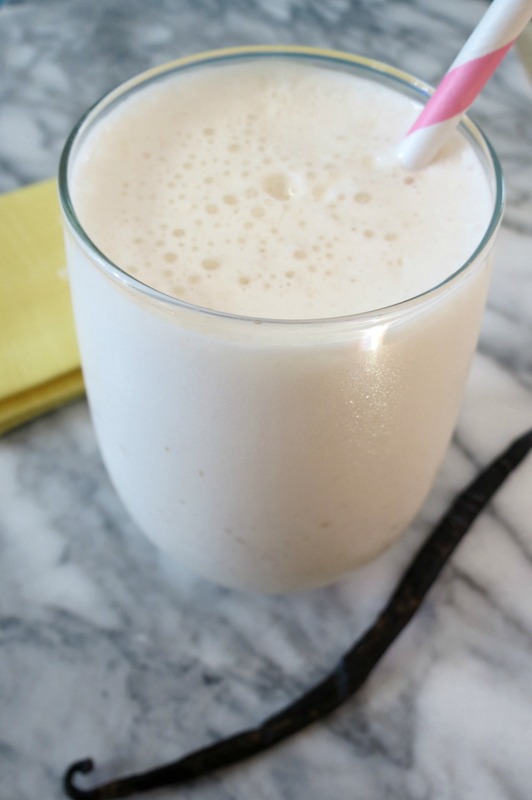 A healthy, creamy, thick protein shake that tastes like a vanilla cream frappe. Note: If you don't have vanilla kefir, use vanilla yogurt instead. Well I am still plugging away at making recipes for this week and I must do it quickly, since I won’t be in the kitchen for 4 days. Oh my gosh that is so long. Eck!! This must taste like you’re drinking a milkshake! Yum! Yes it is! I love it! This smoothie looks great. Personally, I would add a whole scoop of the protein powder, because I need higher levels of protein. I was just introduced to smoothies and protein powder about two years ago and I just love them. I also use Designer Whey in flavors sweetened with Stevia. Of all the protein powders I’ve tried, it is by far the best tasting. It is also available at The Vitamin Shoppe. Why do I know that store name?? Adding a whole scoop would be perfect for that extra protein boost! Sounds delicious! Perfect to drink after a hot summer workout. I agree!! I had mine for a pre-work out drink! Yum! I would absolutely love this! I just love it, but I am a huge fan of vanilla! It’s always good to have some ideas to help make the protein shake taste better. I’ll have to try it this way! Yah, I know protein shakes are healthy for you, but I have to change them up because a plain protein shakes do not taste very good to me. I love a good protein shake, but I don’t make them very often. I need to get some protein powder so I can have these after workouts! I’ll bet that in addition to being yummy, this keeps you full all morning! 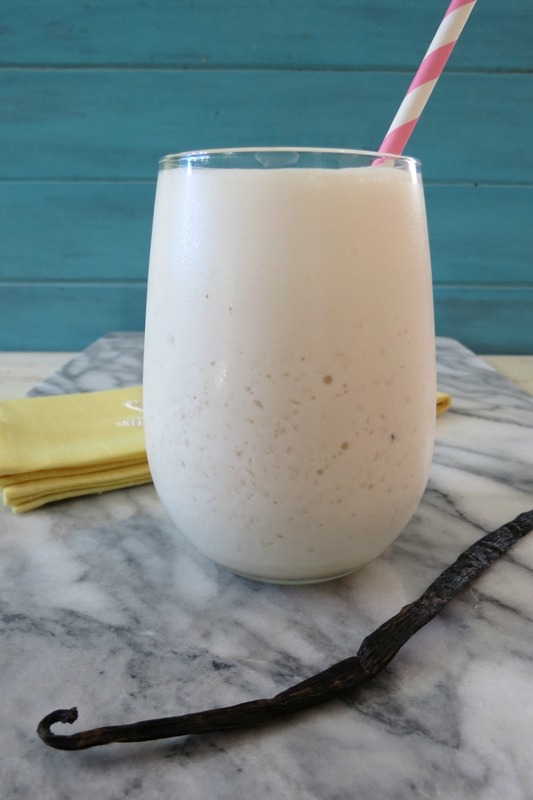 This sounds delicious, I’ve been looking for days for a simple vanilla protein shake recipe, I love vanilla! Thanks! I love vanilla too, it’s one of my favorite flavors.